There is a moment in Richard Linklater's new film Boyhood when the film's main character, Mason — caught deep in the throes of the most awkward transitional years of high school — realizes that growing up is not necessarily the guaranteed outcome of getting older. In a pensive, philosophical conversation between Mason and his girlfriend — the kind of intelligent, emotionally engaged dialogue that has become like Linklater's filmic signature — Mason reflects on the fact that his mother, who has worked hard to be as grown up and responsible as she can be, still seems as lost and confused about the direction of her life as he is about his own. 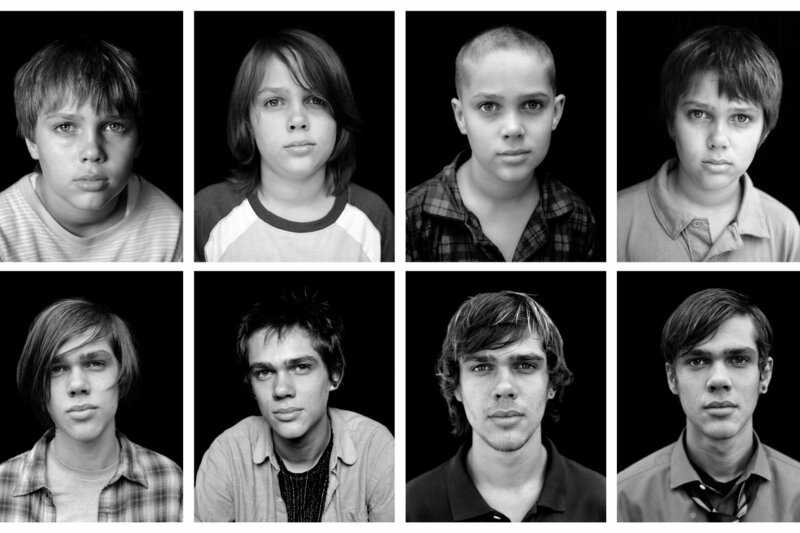 Boyhood is unlike anything else I've ever seen in cinema, just as Linklater is unlike any other director working today. Over the course of the film we watch Mason grow from a shy, introverted six-year-old into a shy, introverted young man going off to college. 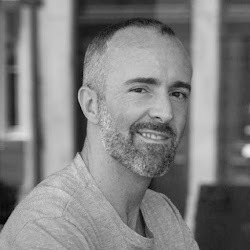 But rather than using multiple actors or special effects to depict Mason and his family aging across the years, Linklater filmed the same group of actors repeatedly over the course of 12 years. As Mason's character ages, so does the actor playing him, along with his family members. The effect is that, although Boyhood is a fictional story, it illustrates the joys and pain of childhood and growing up in a way that is profoundly authentic and true-to-life. But what does it even mean to grow up? Who the hell really knows? It seems to have a lot to do with taking responsibility for ourselves, getting with the program, and becoming successful in life — at least that's the message that the adults in Mason's world keep preaching at him. Do your homework, complete your chores, get ahead in school, find something you're good at and excel in life. But for all their good intentions and rhetoric, those very same adults keep struggling to find their own way in the world, and repeating mistake after embarrassing mistake. Mason's mother keeps marrying the wrong guys, and his father seems stuck in a perpetually rebellious childhood phase of his own. And you may ask yourself — Well...How did I get here? I remember a time when I was a kid when the idea of being 35 years old was incomprehensible. "35" seemed so far away that I just couldn't conceive of how the day could ever arrive. Today I'm 45. 35 came and went 10 years ago, and I'm now I'm beginning to imagine the possibility of being 55 or 65. It scares the crap out of me, to think how fast my life is flying by, and how it seems to move faster and faster with every year that passes. I'm definitely an adult now, with many of the trappings of adulthood to prove it, but there are still times when I feel like a kid stuck in a man's body, struggling to understand how I got here. That's just how it is, if we are honest with ourselves. Deep down, beneath the masks we wear in public, no one really feels like they are completely grown up, like they've got it all figured out. The ones who act like they do are usually kidding themselves, and occasionally fooling the people around them. Often, beneath their well-crafted masks, they are actually the most immature and frightened people of all. Boyhood is an astonishing, deeply honest and moving film in which nothing particularly special happens, and yet everything happens. Life happens, and we watch it unfold in all its glory and wretchedness from the perspective of a boy who turns into a young man before our very eyes. Along the way, we see a lot of adults acting like children and a lot of children trying to act like adults. The film is haunted by the question of what it really means to grow up, and how and when it happens. One thing's for sure: it never happens the way we imagined it would. Rather, it's always happening. We never truly arrive at a destination and find ourselves in that magic place where it all finally makes sense. We just keep moving, and keep growing, and keep making mistakes, and keep learning from our mistakes. If you haven't already become the perfectly put-together adult you dreamed of being when you were younger, I'm sorry to break the news to you, but it probably isn't going to happen. But want to know the upside? You have the opportunity, now and in every moment of your life, to practice accepting yourself — flaws and all — and to forgive yourself for never having gotten your act quite together. Welcome to the club. And while you're here, you'll gain a lot of freedom if you forgive your parents, too, for all the mistakes they made while you were growing up. Back then, they were just like you are now: looking around at their lives in a bit of a daze, trying to understand how they got to where they were, and how to make the best of it. Chances are, they did the best they knew how. And maybe you aren't turning out to be such a bad kid, after all. Boyhood is playing in theaters now. Go see it. Did you ever watch the "Up" series? Starting with 7 Up (the children were seven years old) in 1964, the lives of 14 children are followed every seven years until the present day. The most recent installment is 56 Up. It's pretty fascinating. It's on Netflix and probably other media services.